A few weeks ago I featured an artist profile on rapper Lerix. The article was pretty popular for that week, and it deserved it. I have received plenty of emails of "rappers" and also found myself finding hundreds of MySpace pages of people looking to be then next rapstar. In all honesty most are not going to get anywhere, nor should they. However, Lerix is an artist that will and has the talent to make it. During the last week of November, he premiered his New Heights album, available for free download. As I said before he reminds me of Lupe Fiasco, but this is not to say he is an imitation. Lerix is his own person, with his own flow. 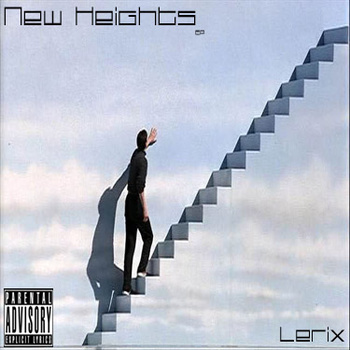 New Heights is literally proving the level that Lerix can take his music, this is what hip-hop needs. Download the 10 track album, New Heights, for free here.